Cartoon King Conquers Canuck Icon. Well not since the War of 1812 has so much been at stake. Timmy's Loyalists take arms! 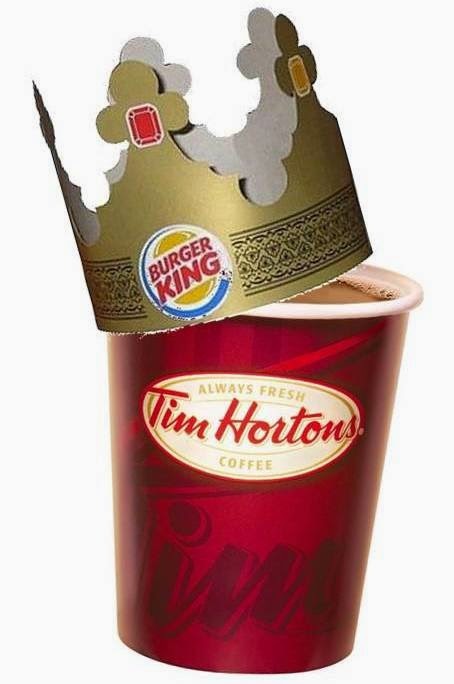 My quick poll of Toronno this morning does not bode well for the announced Burger King Wordwide Inc. (BKW on the NYSE) buyout of Tim Horton's today (THI on the TSX). At the court house I told the clerk the news - she said looking down at her large double-double "I guess I'll have to start making my own". Then near the corner of Dundas and University I popped into Timmy's which had 4 full lines of patrons (oh, yeah that's why Burger King is interested!) - after getting my medium with one sugar and 3 milks and a double chocolate donut I asked the new Trainee Jessica on cash if she heard the news and suggested she would have to start adding "Do you want fries with that double-double?" - her reply, "If I have to say that I'll cry." As long a Burger King doesn't try to colonize our Canadian Icon, and keep the brands separate, everything should be fine and the stocks will continue to soar. 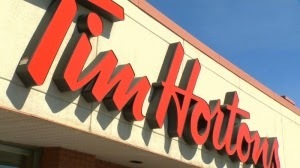 Time Horton's Inc. on the TSE is up by almost 20% today. Let's hope we don't have to revolt, raid the shores of Chesapeake Bay and flame broil the White House again like in in 1812!